My practice is not a rural practice but is based approximately 40 minutes away from a facility that provides 3D imaging. This was inconvenient and time consuming for our patients who had to travel a significant distance to access a scan. We purchased a Cranex 3DX imaging unit to improve and enhance the service we can provide our patients. 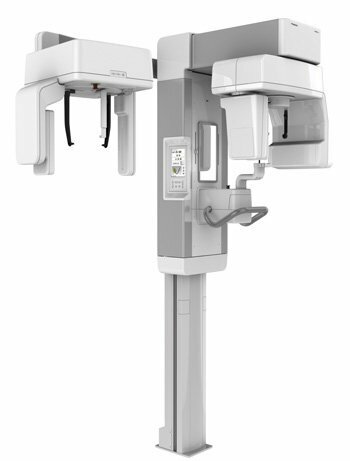 The Cranex 3DX can be used as an OPG as well as for cone beam CT scans. The image quality is excellent, particularly when compared to the images we were receiving from our local radiology clinic. The 3DX unit offers a number of settings which allows you to scan different areas of the mouth. This gives me the flexibility to alter the size of the image according to the image required. A further advantage is that the image scanner can identify anomalies which do not always appear on a 2D image. Therefore, if a patient is in pain, I am able to scan the individual tooth and the 3D image can reveal the source of the pain. The Cranex 3DX also has an option to use a small dose of radiation. This is particularly useful for children who have eruption issues. I am able to take an image at a lower radiation exposure than an OPG and subsequently create a detailed and accurate treatment plan. In addition, the Cranex 3DX allows me to have more detailed conversations with patients regarding future treatment requirements and the associated financial costs. Patients have been extremely positive in their feedback and the number of patients taking up implants has greatly increased. It has changed the way we operate as a practice. I have been very impressed with the Cranex 3DX and I have had no problems or issues regarding its use. The only negative is the initial costs of purchase and the subsequent cost for our patients to be scanned.